We are thrilled to announce our redevelopment of Hawksbury Gardens Aged Care in Salisbury North has been recognised with an Urban Development Institute of Australia (UDIA) award. 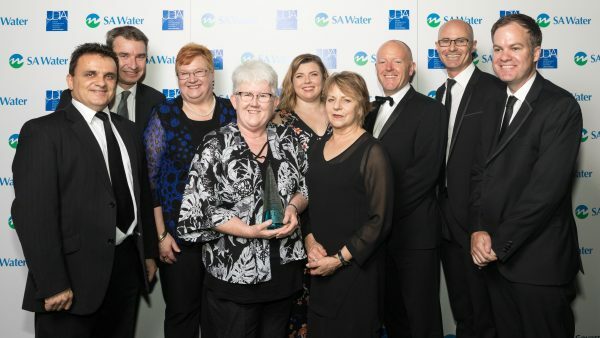 The project took out the SA Award for Excellence in Aged Care during a special gala event at the Adelaide Convention Centre on October 19. The redevelopment included 26 new bedrooms with private bathrooms, a new kitchen, sitting areas, staff room, laundry and dining room. We worked with architects Walter Brooke and Associates and Kennett Builders to bring the project to life. “The whole team behind this project should be congratulated on creating a warm and welcoming home for residents at Hawksbury Gardens,” UnitingSA Executive Manager Aged Care Deborah Burton says. “The new kitchen has allowed us to employ chefs to cook meals fresh on-site, which the residents are really enjoying. The redevelopment brings the total number of bedrooms at Hawksbury Gardens to 89. To enquire about living at Hawksbury Gardens, call our Admissions Team on 8200 9207.